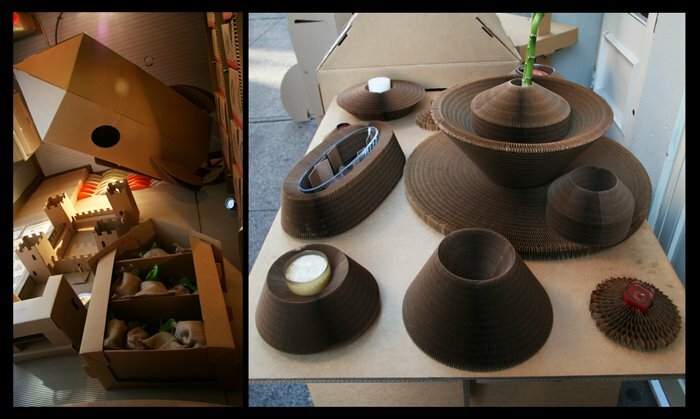 Can you build a business around cardboard constructed objects? In New York, yes you can. This place was a surprise because I go by it frequently. The shop itself is tiny and only because of the outdoor display did it catch my eye. They manufacture many products using an accordion-like, honeycomb structure. You just want to touch these things and of course many do. They have a line called LiquidCardboard which transforms from one shape to another. They move and articulate, much like a slinky. There are also a number of wonderful fantasy constructions for children - a lemonade stand, playhouse, fort, dollhouse, tepee and a rocket ship, which is a personal favorite. As a child I dreamed of being on a rocket and as a high school student belonged to a rocketry club. I think boys and rockets are almost synonymous.